High blood pressure, a.k.a. hypertension, puts your heart and circulatory system at risk. It is known as the “silent killer.” You may want to know how to lower high blood pressure naturally. For those who like to dabble in homeopathic medicine, here are 11 homeopathic remedies for high blood pressure. Blood pressure is the force of blood against the walls of your arteries as it passes through. When it’s high, it means things are not as healthy as they should be. It is important to take action right off the bat. Cut down on salt, increase your intake of potassium, start eating as healthy as possible, drink alcohol only in moderation, and exercise regularly. If you are suffering from high blood pressure, you can also try some of the following homeopathic health secrets. Note that remedies are determined by both symptoms and characteristics of the patient. If you’re unsure of what remedy might suit you, find a homeopath in your area or ask the clerk at your local natural products store. 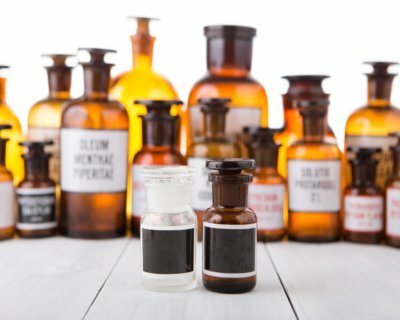 The practice of homeopathy has been used as an alternative healing method, or in conjunction with conventional medical treatment, for more than 200 years. It is based on a patient’s individual health condition, as homeopathy follows the belief that no two people share the exact same symptoms. In regards to high blood pressure, homeopathy focuses on treating causes behind the condition. These may include poor dietary habits, stress, obesity, tobacco use, alcohol abuse, and a sedentary lifestyle. Homeopathic treatment calls for lifestyle changes to create a fundamental shift in the patient’s behavior and way of thinking. These changes, along with holistic medicine, may lower high blood pressure levels and potentially prevent reoccurrences. Homeopathy offers both physical and psychological healing with no side effects, when done properly by a trained professional. While good for throbbing and violent conditions that start suddenly, it can be useful for high blood pressure as well. It’s one of the main remedies in a hypertensive crisis, with flushes of heat, pounding headache, and impending stroke. This one is helpful for high blood pressure that may be accompanied by a pulsating, congestive headache that worsens in the sun. The headache is worse from the sun. Your face is flushed. Along with hypertension, you may have angina that causes a hot sensation in the chest. Sometimes known as glonoine, it is also typically used to relieve high blood pressure symptoms such as breathlessness, extreme weakness, irritability, vertigo, and confusion. The candidates for Nux are easily angered or upset, and compulsive workaholics. They are chilly in body temperature, and tend to complain of gastrointestinal upset (diarrhea, constipation, stomach pain, nausea, etc.). They crave stimulants, such as drugs, caffeine, or alcohol. This character profile paves the way toward high blood pressure. Natrum mur is used for high blood pressure triggered by a consistently high salt intake. Ironically, this remedy is created with either natural or man-made sodium chloride, table salt. Symptoms like swollen feet, extreme morning fatigue, and an extraordinary yearning for salt determine the use of Natrum mur. Other signs may be palpitations, chest tightness, and light sensitivity, as well as the presence of hyperthyroidism or goiter. It may also help relieve the mild to severe headaches that are common with high blood pressure. Used for hypertension in people who are very shy and have difficulty concentrating. Symptoms are worse when lying on the left side. They can include strong stomach pain that recedes when lying on the stomach. A common recommendation for people with hypertension triggered by stress endured over the long term. It’s like it’s burning inside them; this feeling is often linked to their job. This remedy is good for high blood pressure where one’s face is flushed and whose behavior is overactive, and who overall appears primed to explode one day. Derived from the venom of the Lachesis snake, the remedy has anti-coagulant abilities to improve blood flow when an obstruction causes blood pressure to rise. It is often recommended to treat high blood pressure in menopausal women or those of post-menopause age. Allium sativa, otherwise known as garlic, is a powerful homeopathic tool for lowering high blood pressure. It is primarily used in patients diagnosed with high cholesterol in addition to high blood pressure. Allium may also relieve the headaches, heavy head sensation, and hot flashes that can accompany rising blood pressure. The chemical compound amyl nitrosum is often used with high blood pressure symptoms of shortness of breath; choking fits; anxiety; pulsations; extreme sweating; and red, hot skin on the face. It helps to extend the walls of the blood vessels and allow for better circulation and a lower rate of blood flow. The roots of the Rauvolfia serpentina plant offer alkaloids to assist neuro-depressive and blood pressure-lowering activity. A tincture made with the roots may alleviate common signs of irritable behavior, depression, restlessness, and emotional distress. You may also experience an irregular heartbeat or palpitations. A 2015-published study supports the use of Rauvolfia serpentina in hypertension cases, but cautions that it should be given in low doses. The study’s author also recommends it as high blood pressure’s natural remedy. Adrenalinum, also known as epinephrine, is intended to stimulate the sympathetic nerve endings to constrict the blood vessels. This homeopathic remedy for high blood pressure helps settle the roaring noise in the ears, as it causes a sudden fall in pressure. The rapid drop in blood pressure levels calls for the recommended low dosage (four drops into a teaspoon of water three times a day for adults) and close monitoring to prevent the levels from falling too low, or too fast. Drops: Take 10 drops under the tongue 30 minutes before meals, or two hours after a meal. Granules: Place four pellets under the tongue 30 minutes before meals, or two hours after a meal. Tablets: Place four tablets under the tongue three times daily. Mother tincture: Take 10 drops dissolved in a half-cup of water. Ointment: Apply three times daily. Suppositories: Insert one in the morning and one at night. In addition to the above homeopathic remedies, diets containing generous amounts of vegetables, whole grains, brightly colored fruits, legumes, fish, poultry, yogurt, and healthy fats from nuts, olive oil, and avocado are also best to lower blood pressure naturally and reduce the risks of chronic diseases like heart disease, diabetes, and stroke. “Homeopathy & High Blood Pressure,” Dr. Batra’s; https://www.drbatras.com/homeopathy-high-blood-pressure, last accessed January 17, 2018. “Natural Homeopathic Remedies for High blood Pressure,” Dr. Homeo; https://www.drhomeo.com/homeopathic-treatment/homeopathic-remedies-for-high-blood-pressure/, last accessed January 17, 2018. “Rauvolfia Serpentina 1X,” Schwabe India, October 2011; https://www.schwabeindia.com/content/168-rauvolfia-serpentina-1x, last accessed January 17, 2018. “Adrenalinum (epinephrine),” Vaxa; https://vaxa.com/ingredients/Adrenalinum, last accessed January 17, 2018. Thiruvelan, “Homeopathic high blood pressure remedies,” Healthy Ojas, June 4, 2017; http://healthy-ojas.com/pressure/hypertension-homeopathic.html, last accessed January 17, 2018. “High Blood Pressure (Hypertension),” Greenview Medical Group The Allen Clinic; https://theallenclinicgreenview.com/hl/?/38332/High-Blood-Pressure–Hypertension-&com.dotmarketing.htmlpage.language=1, last accessed January 17, 2018. “Homeopathic Remedy For High Blood Pressure,” Steady Health; https://ic.steadyhealth.com/homeopathic-remedy-for-high-blood-pressure, last accessed January 17, 2018. “High Blood Pressure (Hypertension),” Homeopathic Remedies and Treatment; http://www.homeopathicremediesandtreatment.com/High-Blood-Pressure-Homeopathy.php, last accessed January 17, 2018. Lobay, D., BSc, ND, “Rauwolfia in the Treatment of Hypertension,” Integrative Medicine: A Clinician’s Journal, June 2015, 14(3); https://www.ncbi.nlm.nih.gov/pmc/articles/PMC4566472/, last accessed January 18, 2018.